“Eternal rest grant unto him, O Lord,” Cardinal Daniel DiNardo of Galveston-Houston said of Cardinal Law. Cardinal Law had been one of the most powerful and respected U.S. bishops until his legacy was blemished by the devastating sexual abuse of minors by priests in his Archdiocese of Boston. 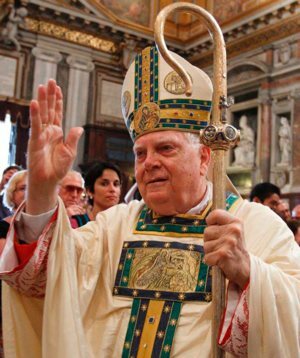 He died at age 86 and will be buried in Rome, where he had his last assignment. His funeral Mass was to be celebrated the afternoon of Dec. 21, according to the Vatican. “If you have been abused or know of someone who has been abused, contact the local diocesan victims assistance coordinator and, where you may have knowledge of a crime, local law enforcement,” it said.